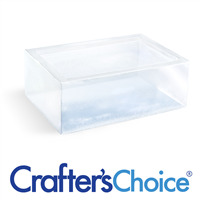 Crafter’s Choice Pro Base Melt and Pour Soap Bases are specially formulated to have low water content for less shrinkage and sweating, and easy unmolding. 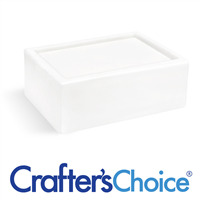 We offer our Pro Base Formula in Clear and White Melt and Pour Soap Bases. Both come in a 24 lb. block which produces (96) 4 oz. bars of soap.